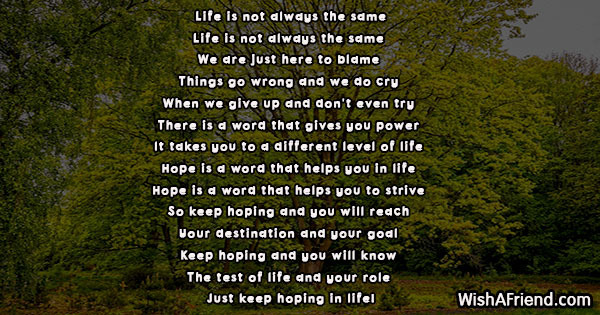 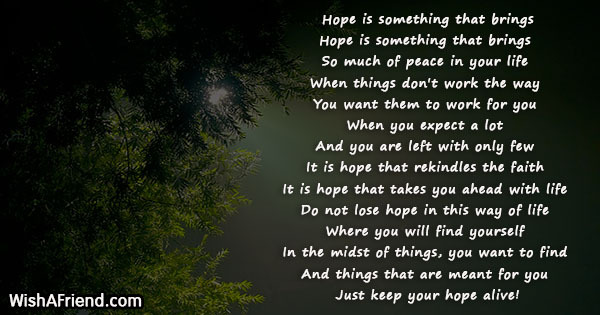 Find some poems on hope to send your friends and loved ones. 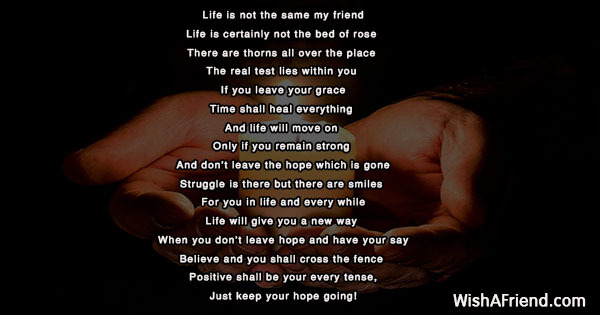 You can also share/send these poems on dreams to your friends via Text/SMS, Email, Facebook, Whatsapp, IM etc. 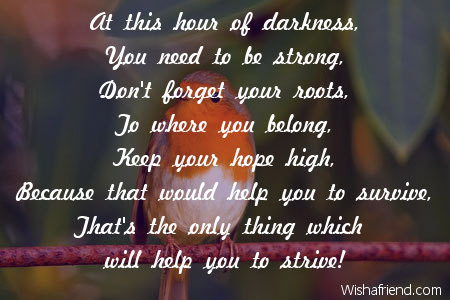 That's the only thing which will help you to strive! 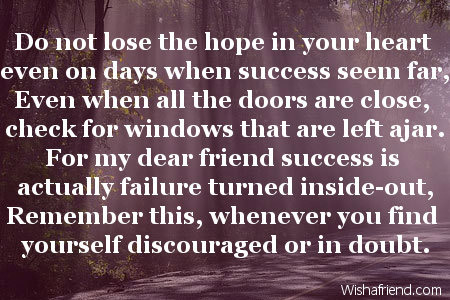 Even when all the doors are close, check for windows that are left ajar. 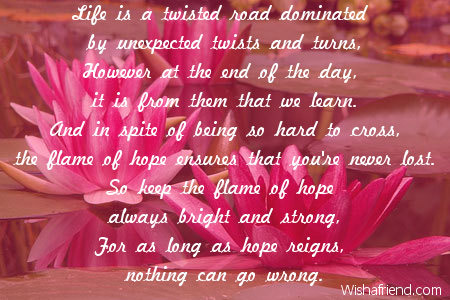 Remember this, whenever you find yourself discouraged or in doubt. 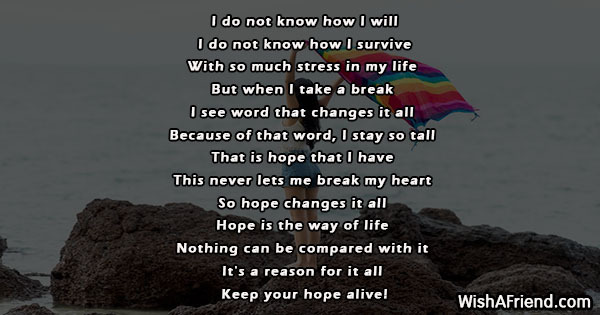 Just keep your hope alive! 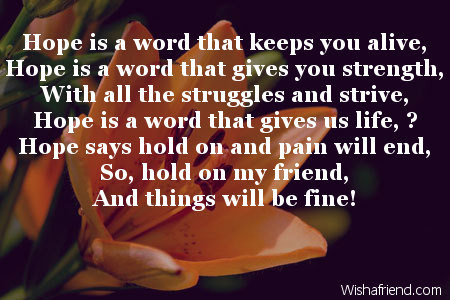 And things will be fine! 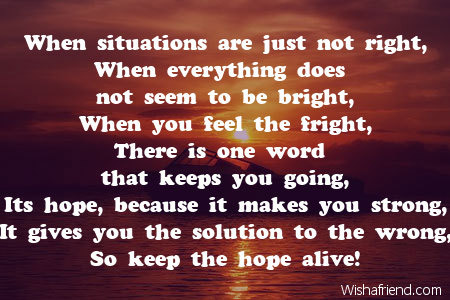 Everything will fall into place on time! 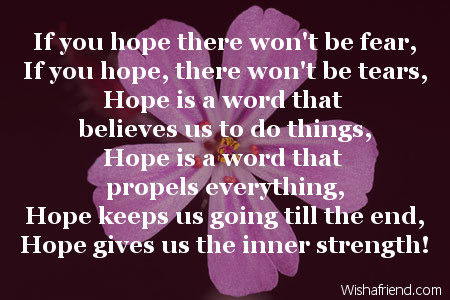 Hope gives us the inner strength! 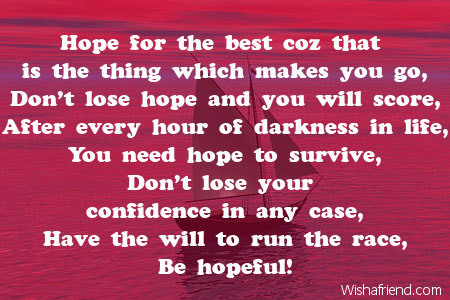 So don't leave your hope! 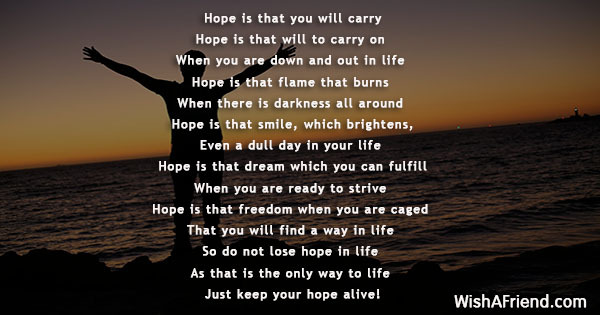 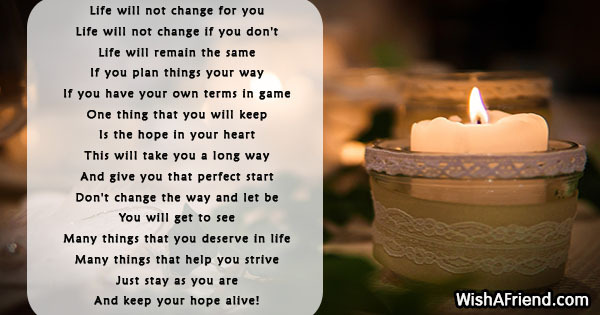 So keep the hope alive! 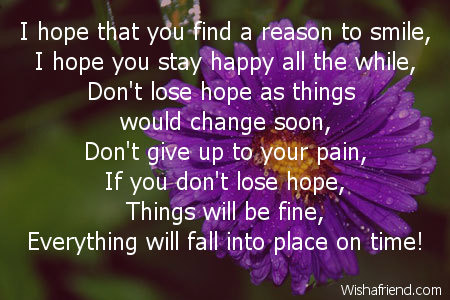 Just keep hoping in life! 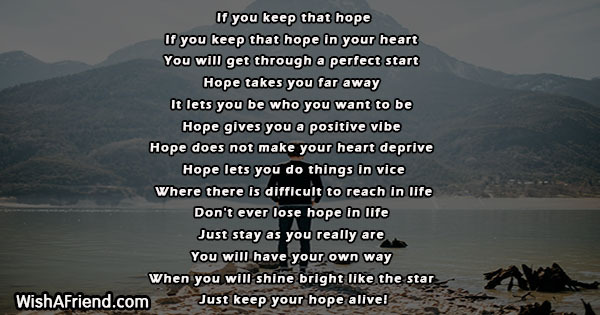 Just keep your hope going! 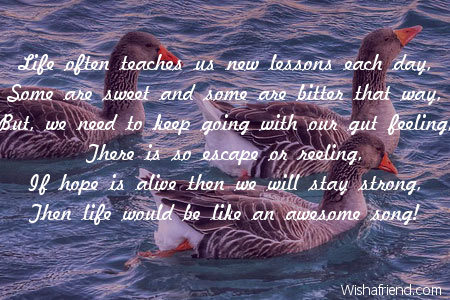 Then life would be like an awesome song! 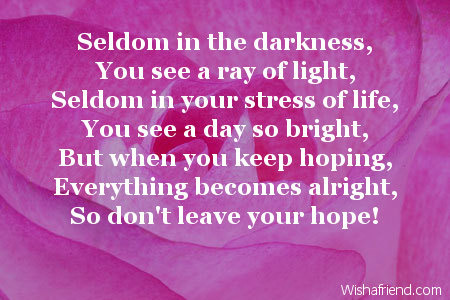 And keep your hope alive!